Welcome to our blog! We have put together a list of commonly asked questions we hear in our exam rooms at Westside. Hopefully these will be both helpful and bring a smile to your face. We love chatting with you and if you have any suggestions or other questions please feel free call us at 573-893-7707.
Who loves spoiling their fur babies with treats and kisses? Here at Westside we consider spoiling and pampering to be one of the best types of medicine. Unfortunately, too many tasty treats often leads us to weight control issues, and if you are anything like me turning down those puppy eyes can be so hard! Cutting down on treats is actually one of the easier ways to help your pet lose weight. While taste does play a role, the biggest benefit a pet gets from treats is simply the fact that you are giving them attention and the excitement that brings. Most of the time owners don’t know how many calories are hiding away even in the tiniest of treats. Below you’ll find a chart we like to use to give a good visual of just how calorie packed human food and other treats are. 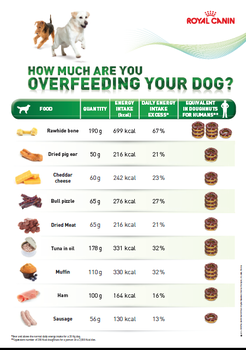 It compares some of the most common treats for your pets to you and I if we were eating donuts. 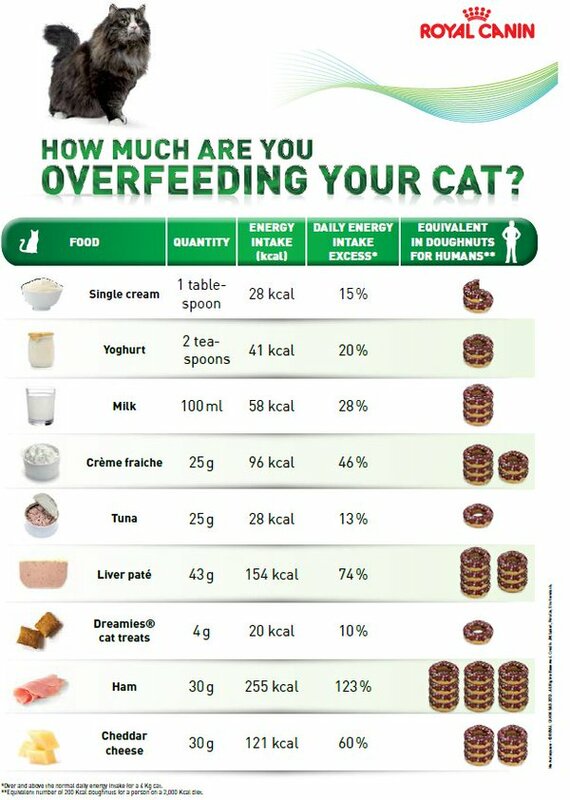 Psssssttt…… it’s not listed on the feline chart but 7-10 of simple dry cat treats can be worth one donut of human food! Because those puppy eyes are so hard to resist, we’ve put together some suggestions for healthy snacks or treat alternatives for you to try at home. Ice is an especially good treat for pets during the hot summer! Freeze some water in a Kong or hollow chew toy to give them something to lick or chase. I have even flavored mine with a few drops of chicken broth. Yuummmy! Last but not least some pets love simple ice cubes to chase around the floor. It may get a little messy but there are zero calories and they will love you for it! These guys contain natural sugars for sweetness but have low calories and won’t harm your pets! As they do contain natural sugar we recommend only two or three a day. This is actually a common treat used by the doctors at Westside for their own pets! A full bowl may be a bit much but a single cheerio for a job well done or treat after dinner does the job! Not all commercial treats are bad! Below is a short list of some weight friendly treats we carry here at Westside. 1. Metabolic: This is the perfect dieting treat!!! This treat is designed specifically for pets who are supposed to be on a diet but Mom and Dad still want to give treats. Low calories and lots of love, what a great combination! 2. Mobility: For pets who have a little trouble getting around, these treats are low in calories but high in supplements to help painful or growing joints! 3. Hypo-treats: Does your pet have skin or food allergies or a sensitive stomach and can only have certain treats? Give these a try! They have low allergen content as well as low calories so two birds one stone! For pets that just want something to chew on, these are low calorie treats that also helps prevent dental disease. Treats are one of the most enjoyable ways to spoil our fur babies but it is important to remember that too many can lead to obesity in pets. We hope this blog has given you some good and healthy ideas for pampering your pets.